In the article, the authors analyze the debt stability of the state with the help of factor models in order to ensure timely response to the effects of heterogeneous factors that form the stable or unstable state of the debt management system, and the need to study the tightness of the relationship between them. The approach to determining the direction and modeling the impact on the debt sustainability of fundamental exogenous macroeconomic (demography and labor market, real sector, balance of payments) and financial groups of factors (capital flows, money market, banking system and access to financing) with the use of correlation tools is proposed. Keywords: debt sustainability, destabilization of the public finance system. Cite as: Antonov, M. (2018). Optimization of Bank Expenses on Marketing Communications. 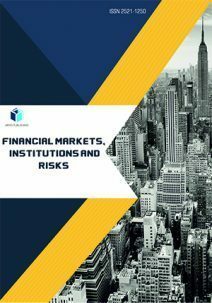 Financial Markets, Institutions and Risks, 2(1), 15-24.